China earthquake centre reports that the 3.4 magnitude earthquake hit the North Hamgyong province of North Korea at 8.30am GMT. They say the quake is believed to have been caused by a suspected explosion and was detected in the same location as previous tests. 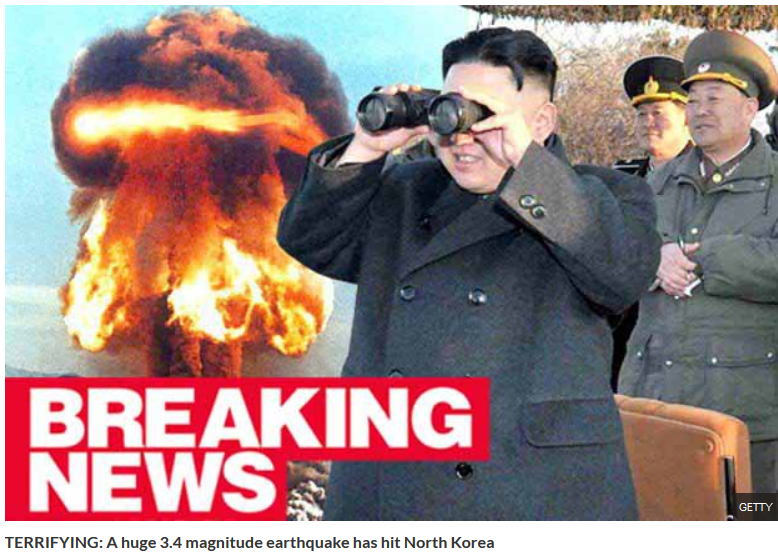 Head of nuclear test monitoring agency CTBTO is analysing the "unusual seismic activity". This comes despite US President Donald Trump's threatening speech last night denouncing "rocket man" Kim. South Korea's weather agency said it was analysing the nature of the quake and its initial view was that it was natural. Many also fear the world is going to end today with conspiracy theorists claiming Nibiru will smash into Earth.